These photographs are being put together to commerate the 25th Anniversary of the Falklands War in 1982. They consist of some iconic images which have been signed by some of the notable people involved in the conflict. 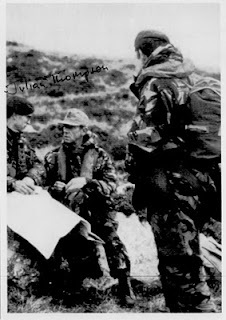 Major General Julian Thompson CB OBE joined the Royal Marines a month after his 18th birthday and served for 34 years, in the Near, Middle and Far East, and the Southern and Northern Regions of Europe and commanded on operations in all ranks from platoon commander to major general. He commanded 40 Commando Royal Marines for two and a half years, and the 3rd Commando Brigade for two years. 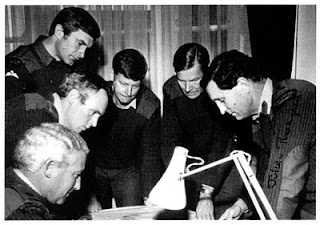 The latter period of command included the Falklands War of 1982, in which his brigade carried out the initial landings and fought the majority of the land battles.